How far do juvenile penguins travel to find a place to breed? A recent study of movement patterns of five penguin species show us that not all species move far, and this could have consequences for their future. Dispersal is the movement of an organism from the place where it was born to a breeding site, or simply to a different location. Dispersal generally happens when individuals are young and, depending on the species, this could take months to years. When young individuals decide to venture out of their known colonies for the first time, they end up doing something important for the conservation of populations — they take their genes to a new place. The movement of individuals among different populations — between colonies for example — is very important for most animal species, as it’s a way to maintain genetic diversity and genetic connectivity. Imagine a square occupied by a species, then imagine that the species is distributed in the four corners of this square. Now imagine that individuals from the four corners move freely within this area. Genetically speaking, the result would be a species with a constant interchange of genes. The opposite would be a square with its young individuals moving only in their respective corners and not breeding too far from home. Over time the later would result in a species with four differentiated populations if they never come in contact with each other. As you might be thinking now, sometimes the free movement of individuals between locations can be blocked by barriers. Generally, we picture barriers as big walls or impassable mountain chains, but marine species can also face barriers located underwater or strong currents that mark the limit to free movement of individuals. Using data from 32 colonies in five species of penguins, Dr. Gemma Clucas, Dr. Jane Younger and their collaborators have uncovered the movement of juvenile penguins. 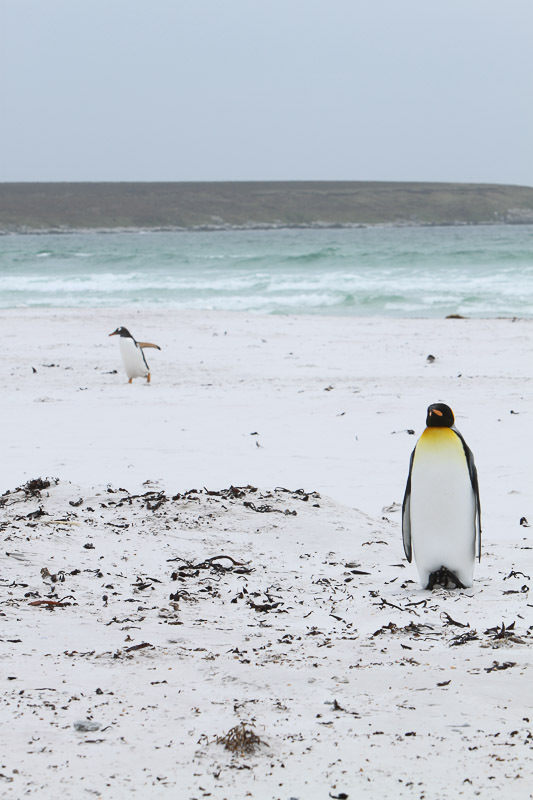 Following penguins in the wild can be a consuming task due to the location of remote colonies and the impossibility to tag a large number of birds. But thanks to the advancement of genetic tools, the patterns of dispersal can be inferred by looking at the genetic structure of the population. This is done by looking at the variations found in sections in the DNA between genes, known as SNP or single nucleotide polymorphisms. 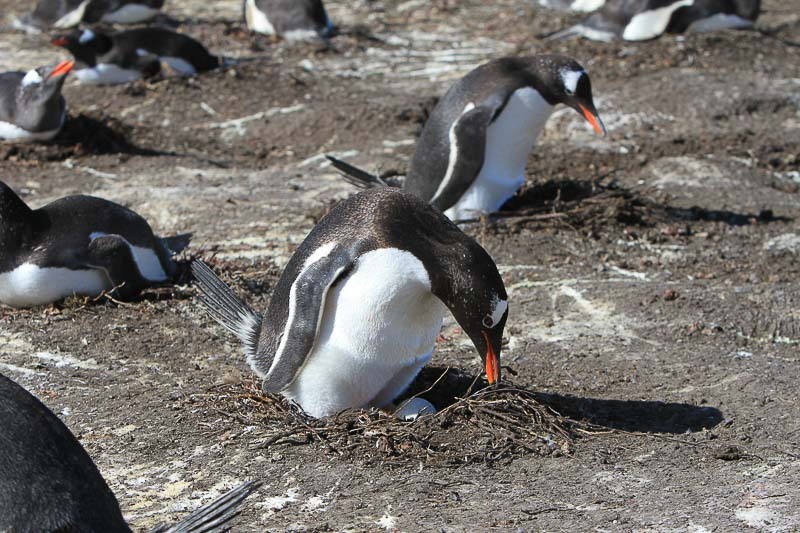 In contrast, Gentoo penguins are distributed in colonies located closer to each other in comparison to other penguins. The difference though is that they possess an affinity for coastal foraging and, after breeding, juveniles tend to stay close to home. 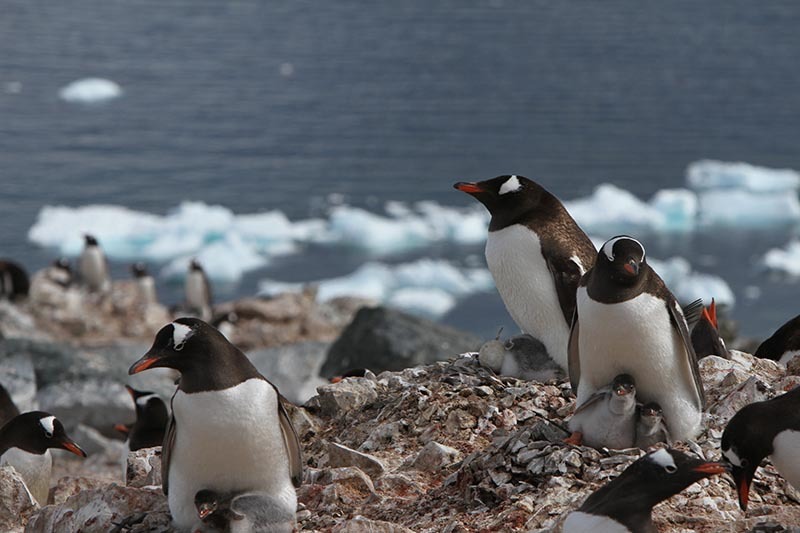 Such lifestyle might have caused the genetic differences found among groups of Gentoo penguins. Other penguins studied were King, Chinstrap and Adelie penguins. All three species show differences in how they distribute their colonies and the geographic regions that occupy. However, as for the Emperor penguin, their populations showed that dispersal of juveniles is occurring among most populations and apparently they do not face clear barriers in dispersal. Why is it necessary to understand dispersal? The constant interchange of individuals between populations and the contribution of “new genes” could buffer threats for species. Genetic diversity is beneficial when species face new potential diseases, it helps populations in disequilibrium, e.g. too many old birds found or populations with low birth rates and survival. As this study points out, understanding dispersal for marine species has become very important for scientists. Many marine environments are dramatically changing in a warming and overfished world and the limits of marine barriers are being altered. This can have effects on the persistence and distribution of penguins’ favorite prey items. The ability of individuals to colonize new locations will therefore be of utmost importance in a changing world. Knowing which species are going to be more vulnerable to changes will help scientists to prepare for the future. Does this amaze you about penguins? Did you learn something new by reading this? Please let us know.